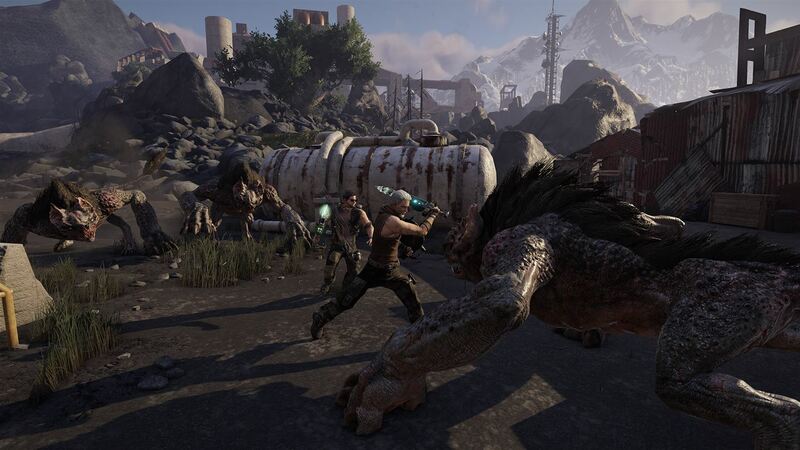 Elex has set itself a high bar; it’s a huge post-apocalyptic fantasy sci-fi open world role playing game, with lots of social interactions to let you choose your own path, and copious amounts of Dark Souls inspired combat to enjoy. It seems to be taking ideas and concepts from numerous games but sadly, this means it has no identity of its own. It gets lost in itself, trying to take the best elements from certain games and combining them into one. It doesn’t focus on one element well, and instead Elex spends a little time on every aspect, meaning none of them are actually very good… at all. 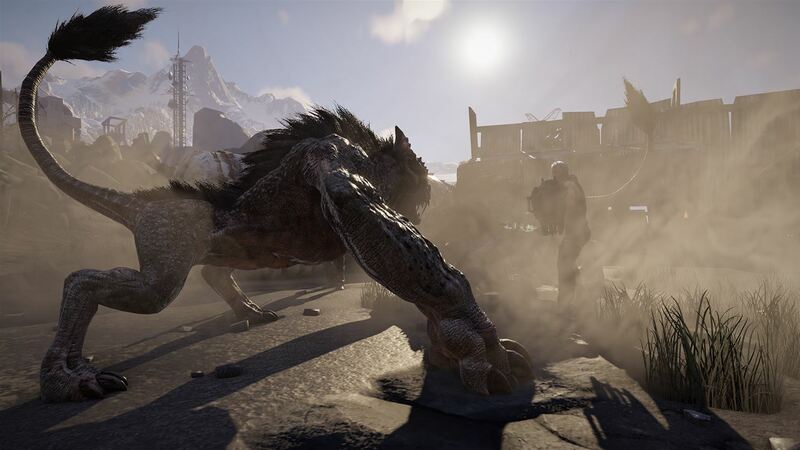 The story of Elex is set in the world of Magalan, a post-apocalyptic world that has been devastated by a meteor, and this meteor contained the games’ primary focus, Elex. Elex is sought after by almost the entire planet, one split across four different factions with each focusing on this substance in their own way. Outlaws steal, trade and scavenge Elex to try and survive this desolate world. Clerics use it to maintain and power technology which was once used before the meteor struck. Albs inject the Elex and use its powers to become the most powerful faction on the planet and, lastly, the Berserkers want nothing to do with Elex, preferring to live of the land and ridding Elex for good. Each faction has their very own set of rules, attire, weapons and stance. You will come across each faction through the hours you’ll spend with the game and it is up to you to maintain relations with each, in order to either survive or fight. 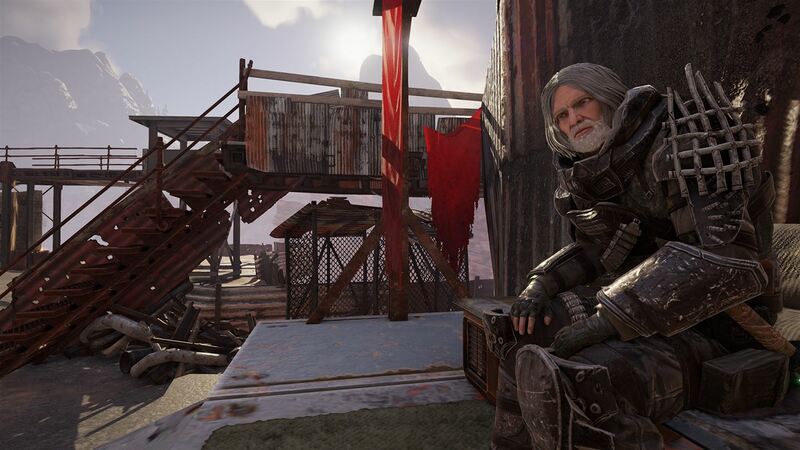 In Elex, you play as Jax, possibly the most generic looking protagonist in gaming history, with the classic “I’ve seen so many battles” scars donned across his emotionless face. But with this level of blandness, surely he must have a personality to redeem himself? No. Sadly, Jax is about as exciting as a cucumber sandwich with the crusts cut off. It’s not a good sign when the person in the game that spends the most time talking makes you skip everything they say, purely so you can just move on with the story. Graphically though and Elex does look good and there are enough varying landscapes to keep you entertained. It has such a seamless transition from lush forests that remind you of Skyrim, to the high-rise future scapes of Mass Effect, that from time to time you find yourself getting lost in the world of Magalan. This however does not excuse the continuous frame rate drops and texture pop-ins that litter it. You see, this happens on nearly every occasion when five or more characters/creatures try to attack you, making the already clunky combat system even worse. Whilst on the subject of the combat, Elex tries to take inspiration from the well-loved Dark Souls series in which you must rely on your cunning to hit, dodge and parry at the right time to take down the difficult enemies, all while managing your stamina. Dark Souls masters this, but Elex’s combat is severely flawed. The characters are, at points, far too overpowered for the level it recommends you be at the time of meeting them and this definitely happens on more than one occasion. The worst part of all though is that when you have your heavy or light attacks, Jax automatically has, for a better word, aim-assist, meaning all you have to do is be near an enemy when you press RB or RT and you will hit them. Where is the challenge in that?! It takes away the fun of having to aim and hit to make the perfect strike, and makes the whole ordeal boring. 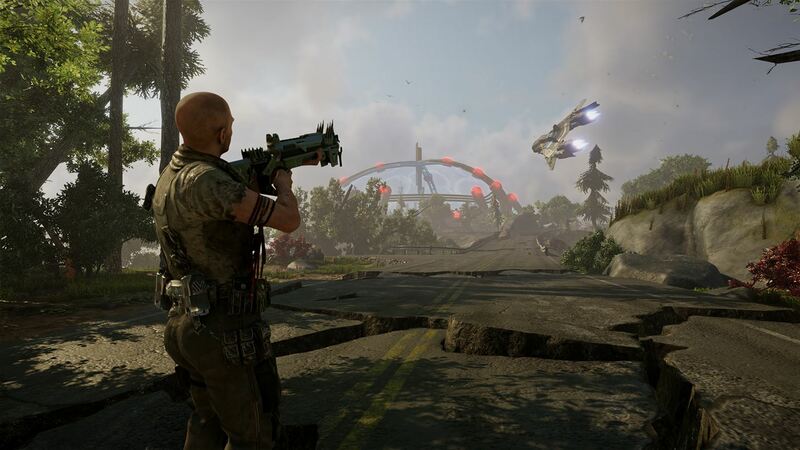 Luckily, Elex does have the addition of magic spells and long range weapons, meaning this auto-aim system can be avoided, but that really shouldn’t have to be the case. One plus about the combat though, is the variety of enemies you come across – you will encounter mutants, jackals, combat robots, the list goes on. I just wish it wasn’t so tedious. NPC interaction is a big part of this game and that means you can create friends or foes throughout the world. This idea has been used for years and, when used well, can really give you the feeling that you have created your own story. Sadly, Elex does not do this. Almost all interactions are slow paced, and almost unnecessary, with the boring and slow paced writing only making you angrier as the game goes on and wonder how a game with this much ambition could make even the most exciting looking characters seem so mundane. Also, their mouths don’t move in time with their speech, taking you completely out of the immersion and this isn’t helped by having shot, reverse shot, back and forth for every interaction. This same premise is used every time, making you dread every possible interaction. Magalan, as a world is huge, and has endless main and side quests, meaning you will be doing a lot of walking. Fast travel is possible, as it is in most games, but you can’t always do this, meaning you have to put down quest markers to guide you. This again proves to not be a simple task. The quest markers are horrible and don’t always land on the place I put them, or where I actually needed to go. This meant I could spend minutes at a time looking for the person or the item I was meant to pick up or meet, before I realised they were actually in the next building. This became infuriating and, on many occasions, made me throw my controller down in frustration and wonder how they couldn’t even get THAT right! Sadly, for all its premise, Elex has to be one of the most uninspiring RPGs I have experienced in a long time. Sure, it has a lot to live up to with the likes of the Elder Scrolls, The Witcher series and the Dragon Age saga, but that’s all the more reason why Piranha Bytes should have given it their all to put themselves in some form of contention with other RPGs. It clearly has huge potential, with a great concept, interesting lore and a great progression system with so much loot to collect, and maybe after a few months of patches and updates it will become more bearable. Unfortunately though, it currently falls under its own weight of wanting to be everything, when sadly, it ends up with nothing.